Gangeswari temple is a gem of Kalingan architecture, yet very few have visited it, despite being on the road leading to Konark town. 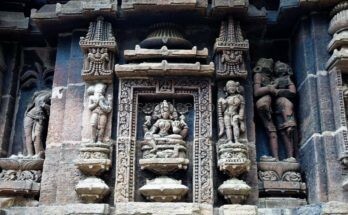 Its better known as the prototype of Konark which was built in the 13th century by Shaivite Ganga dynasty rulers & Gangeswari is their istadevi (Chodaganga & others). Gangeswari temple is located in the Nimapara – Konark route, within 2 kms from Gop chowk, inside a rustic village under the name Bayalishbati in Puri district. 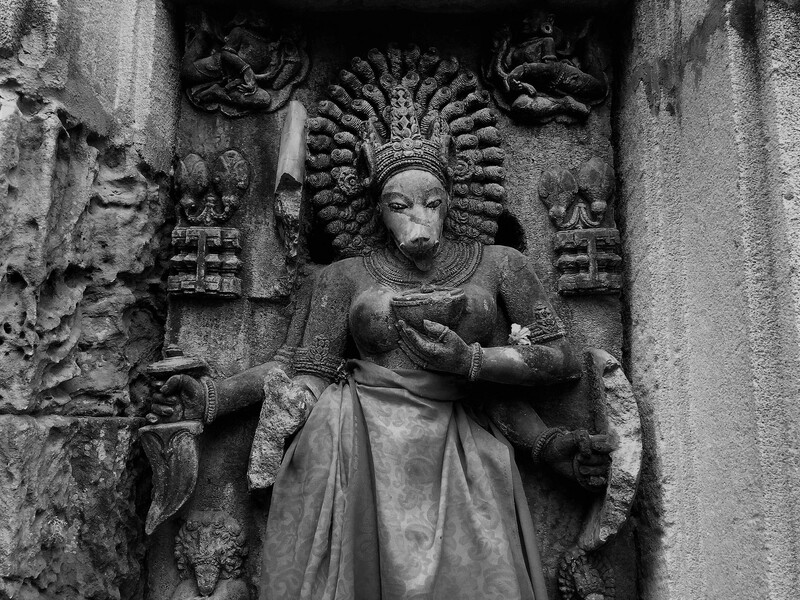 The temple although in a dilapidated state, yet its fine sculpture can still be recognised from the detailing. Built in Kalingan architecture, the temple has a khakhra vimana and a pidha jagamohana, but since the temple height is much low (11m), the khakhara style can’t be properly recognised. The temple is made with pancharatha plan with a height of 11m is facing south-west. 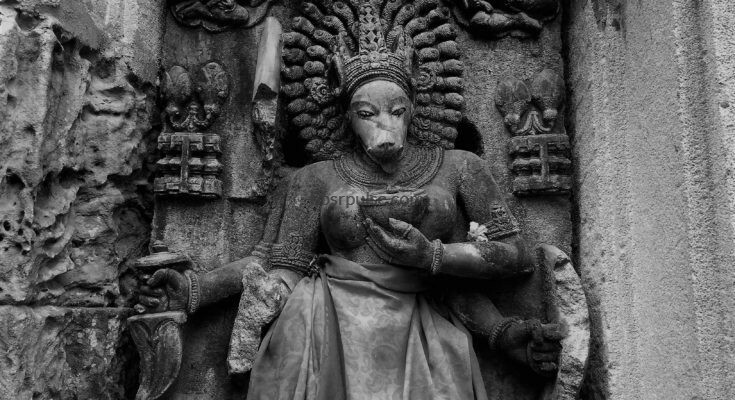 The interior of the temple is plain blank but the exteriors has some magnificent images including that of nayikas, chamunda, astadikpalaks & others but the one which struck my eyes was the gracious image of four armed Varahi as parswadevi with a bowl (maybe a skull) on one hand, dagger, shield on the rest . The temple foundation is of laterite stone while the body is made of sandstone which have started showing signs of erosion. It’s a living temple with four armed Mahisamardini worshiped as principal deity as Gangeswari. 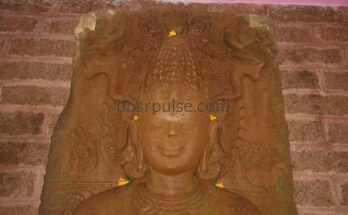 The location, carved imagers & other circumstances says that this temple was once a shakti peeth. 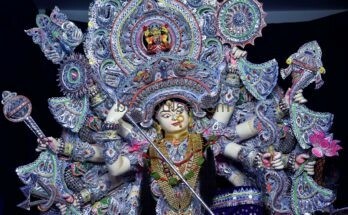 The popular festivals celebrated at Gangeswari includes Dussehra, Chaitrparba , Shola puja etc . There’s a big pond (Bayalishbati pokhari) nearby which looks like a flowing river blocked by time. Local people says that this said river was navigable & was used for bring big stones in logs for making the temple. Good news is that there’s one signage by Deptt of Culture on the Gop road for new visitors to track down the temple. Since, the roads are quite narrow from Gop, its better to take smaller vehicles to the site & carry your own prasad items. The nearest new place of interest is Kuruma Buddhist monastery site & one can view the sacred Prachi river flowing nearby while driving towards Kuruma. How to reach : Bhubaneswar>Puri route>Nimapara>Gop chowk>Bayalishbati village>Gangeswari. Do you know of any other ancient varahi temples in this region besides chaurasi and this one? Found your article very interesting. Had heard about this temple a long time ago but never had the opportunity to have a look at it. May be our group, Ashish, Shivaji, Bikash,Dipak and others will plan out a trip there.